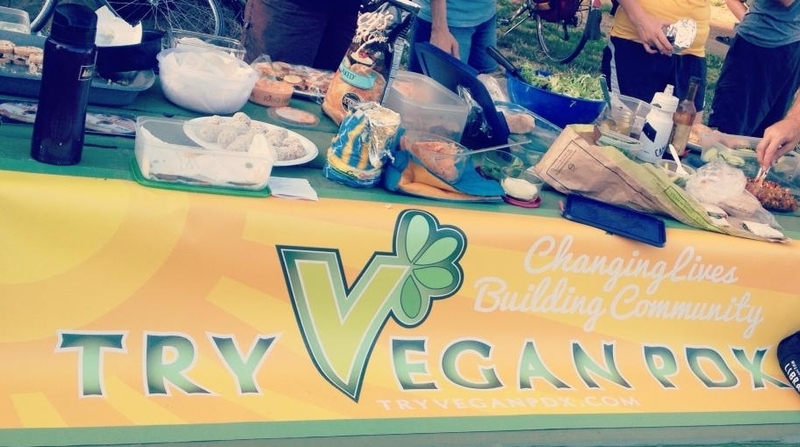 Try Vegan PDX offers education and resources, events and support, and activism opportunities in Portland, Oregon and beyond. We champion for the animals, those interested in a compassionate lifestyle, and the larger vegan community. A vegan world will provide a thriving future for people, animals, and the planet. Ready to take the next step? You can become a mentor or ask to get a mentor here. Or join our mailing list and attend our next event! Find out about our organization, mission, and our history. Sign up with your email address to receive news and updates, averaging once per month. Try Vegan PDX is a 501(c)(3) non-profit (EIN is 26-1914217 in Portland, Oregon. Our goal is to help people who have made the decision to go vegan by offering resources, support and community-building activities. Whether you have only recently come to the decision to live a cruelty-free life or have been vegan for many years, Try Vegan PDX needs your support. Please tell your friends and get involved!